Horse Museum: Can it Truly Evoke the Horse’s Greatness? Our society has deeply relied on horses in almost all aspects of live for the last 5000 years. This majestic animal has become an ally to humankind during times of peace and war and their backs have carried civilizations to soaring heights. But despite the numerous ways that horses have aided our society, we’ve become too quick in forgetting how truly indebted we are to them. A horse museum is therefore essential when attempting to not only pay homage but also remember how mankind has benefited from the horse’s domestication. Although you would think that man and man alone was responsible for creating our present-day civilization, the truth is that, for the most part of history, influential catalysts had significant contributions to our society’s advancement. It’s true that, in the beginning, horses weren’t considered as possible companions (helpful at that). In fact, 50,000 years ago, mankind often scared the animals into natural cul-de-sacs or pits so that they could obtain the meat they so dearly required. 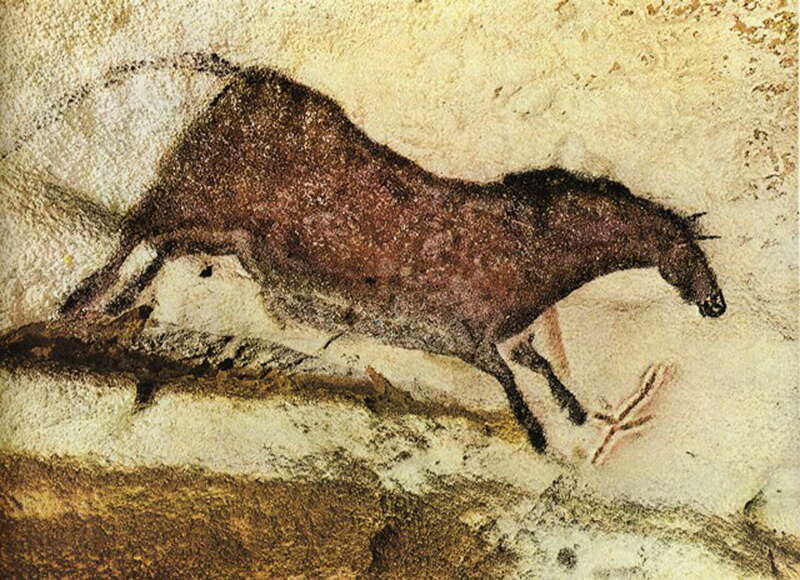 Later on, cave art began emerging in France as well as other parts of the world, some 15,000 to 12,000 years BC depicting horses but also other animals such as mammoths, lions, foxes, wolves or deer. It was only when mankind tackled domestication that things actually began to move. Approximately 6,000 years ago, man discovered how the speed and strength of horses might work in his favor and set the path for tremendous advancements. Isolated tribes began uniting and forming common fronts and long-distance travel emerged as a viable option (as walking started being replaced by riding). Two thousand years after this, “harnessed” horses allowed man to use them for their power and once domesticated, this animal began to find itself being used not only for agricultural or travel purposes, but also in transportation, warfare, industry, competition, racing, commerce, pleasure, religion, and recreation. The list can truly go on and on. Theories as to when and how horses became domesticated have contradicted each other since they began emerging, however, some studies seem to provide significant evidence. 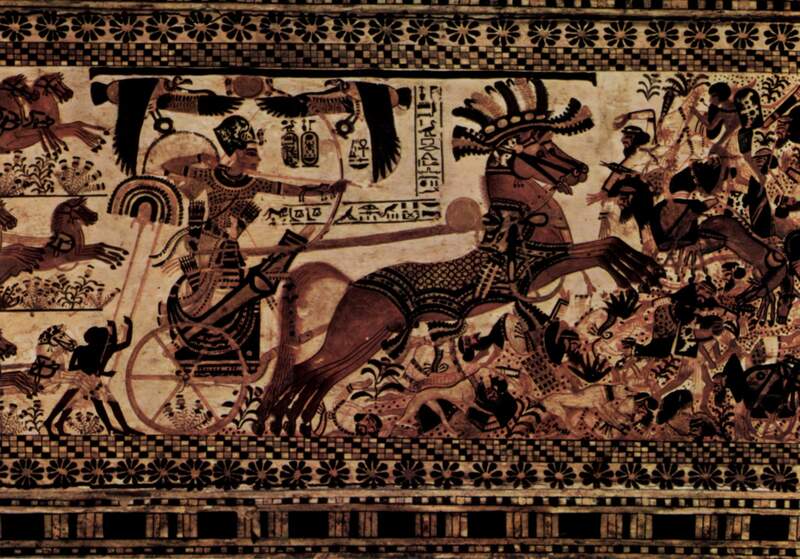 The clearest depictions of horses being used in transportation can be found as far back as 2000 years BC. Yet other studies offer evidence suggesting that, in fact, the domestication process had begun long before that. Genotyping efforts have also attempted to accurately identify the moment when domesticated populations of horses emerged as separate from wild populations, but even such investigations can only estimate possible dates without identifying the early period of gene-flow between wild and domestic horse populations. 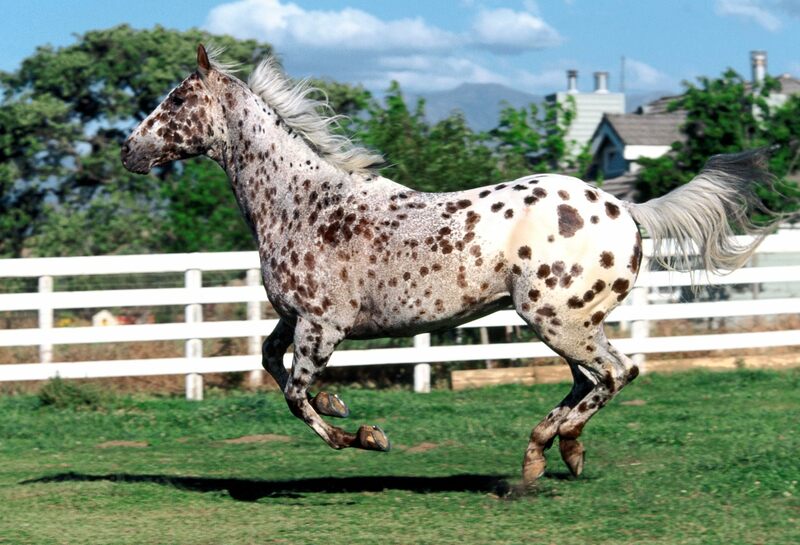 Today, more than 300 horse breeds can be found worldwide. And while the details of domestication, horse breeding and the horse’s interactions with mankind may seem particularly difficult to comprehend, there is a number of horse museums throughout the United States attempting to bring the horse’s greatness closer to the public. This horse museum located in Lexington, Kentucky, has one goal in mind: that of educating the public (general and equestrian alike) about the relationship between mankind and horses throughout history. It’s fitting that we would start with the International Museum of the Horse, especially since it prides itself with being the largest such institution on the planet. With a plethora of archives and a remarkable library, the public, scholars and researchers can all find the resources they require when investigating the horse (or, by its scientific name, the Equus ferus caballus). A Smithsonian Institute affiliate, the IMH (International Museum of the Horse) allows those crossing its threshold to explore the wondrous history of all horses and how this beautiful animal impacted mankind throughout the millennia. One of its most interesting online exhibits includes the “Legacy of the Horse”, where enthusiasts have the opportunity of becoming acquainted with the chronological history of mankind’s contact with horses. The museum’s flash presentation allows visitors to swiftly go through the essential aspects of how horses (as we know them) came to be a part of our lives. From the Hyracotherium (eohippus, or the dawn horse)- one of the first horses to appear on Earth 55-45 million years ago to the Merychippus (17 to 11 million years ago), the Pliohippus, the Przewalskii horses and Tarpan horses, the museum offers detailed information into the manner in which horses evolved into the creatures that early humans encountered during the late Ice Age. The same exhibit also addresses Cro-Magnon equine art, the Vogelherd horse as well as Steppes horses as mankind began domesticating this beloved creature. Other online exhibits include “Breeds of the World”, the “Draft Horse in America”, the horse’s position in sport and recreation and many more, so be sure to immerse yourself in these wonderful exhibits whenever you have the time. 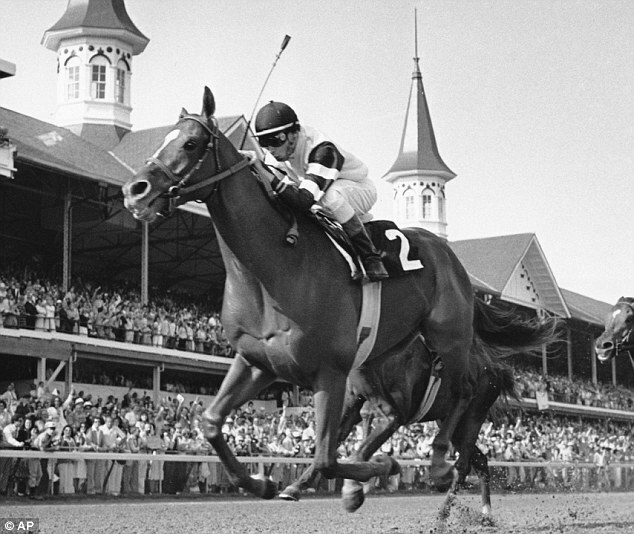 Speaking about current exhibits, “Affirmed: The Making of A Champion” is a long-lasting exhibit which began in 2006 and tells the tale of Affirmed, the last horse to ever win the Triple Crown. “Calumet Farm: Five Decades of Champions” and the “National Horse Show” are other exhibits tackling excellence in equestrian sport. The Kentucky horse museum has devoted its efforts to gathering the most valuable of resources on horses: its equine based collections serve both education and scholar purposes and currently comprises more than 16,000 photographs and objects devoted to horse history. On the other hand, the IMH’s library includes over 8,000 books as well as half-a-thousand rare volumes from all over the planet. An exponent of speed and sprinting, the American Quarter Horse is one of the breeds that the U.S. takes particular pride in. It would only be fitting that a museum would also exist to highlight the importance of the American Quarter Horse (or the Steeldust horse, as it was previously known). the particular body types: Stock type (with a short, compact body but still particularly agile) and racing and hunter type (which grow a bit taller, have smoother muscles and resemble the Thoroughbred). During the historic meeting that prepared the foundations for the Quarter Horse Hall of Fame & Museum, none of the participants would have guessed that the Steeldust horse would blossom into the figure it is today. This horse’s unique history fills the halls of the museum, which aims to educate the public on the American Quarter Horse and the exponents of this breed (who managed to shape it into what it is today). Magnificent bronze statues of this majestic horse greet visitors approaching the museum. History-changing American Quarter Horses are included in the museum’s Wall of Honor, where those who paved the way for the Steeldust Horse are properly honored. After visiting the Grand Hall, visitors are highly encouraged to enter the Ken and Laina Banks Theater, where a 10 minute film will serve as a proper introduction into the world of the American Quarter Horse, its role in our world, the breed itself and how it fares in the show arena. 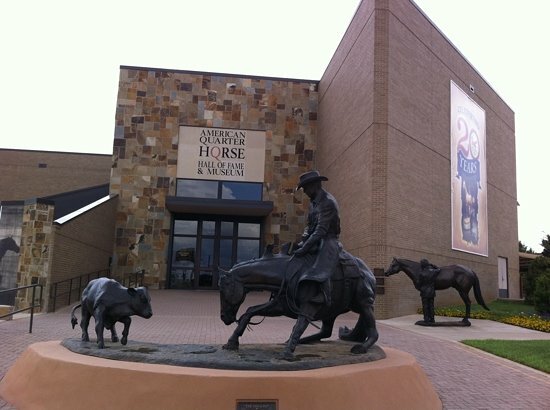 The Amarillo museum also features a Hall of Fame where those horses and people who deserve such an exclusive distinction are featured. Those showcased in the museum’s hall of fame must have achieved outstanding feats for many years, which contributed to the breed’s increasing visibility and importance. A complete list of all inductees and members of the museum’s Hall of Fame can be consulted on the AQHA’s website. This one-of-a-kind museum hosts numerous events meant to honor those breeders and exponents who have managed to contribute to the breed’s visibility. For the association’s 75th anniversary, for instance, a select number of breeders will be honored for having registered a minimum of one foal yearly for the past 75 years during the “Breeding A Legacy: 75 Years of American Quarter Horses” event. The association’s “Youth Art Show” is an occasion during which high school, junior high and middle school students have the opportunity of taking part in an AQHA artistic challenge meant to showcase the uniqueness and particular spirit of the Steeldust horse and how this particular breed contributed to the creation of the United States as the grand nation that it is. Other events include the annual “America’s Horse in Art Show and Sale” as well as the “Best Remuda Award”. Tranquility and silence is essential when researching and the AQHA wanted to ensure that researchers and scholars were provided the best of conditions when inquiring into the American Quarter Horse. As a result, the museum’s reading room is the perfect sanctuary and is available to all visitors upon request. Small groups as well as individuals are able to access the area and browse through the hundreds of books. A virtual tour of the museum is also possible on its website. Britain’s foremost horse racing museums, located in Newmarket, pays homage to British racing and how it influenced equine heritage all over the world. The museum is located in one of the former Subscription Room Buildings, where betting men would gather during the late 19th century. From here, crowds would receive information as to the horses that were being backed. Of course, with technological advancement and the development of the telegraph, their importance diminished and the Subscription Rooms were turned into a social club until their 1981 closing. This was the opportunity that Major David Swannell had been waiting for. As one of the Kockey Club’s most prominent and respected handicappers, he was perfectly capable of envisioning (and carrying his plans out) a national museum showcasing horse racing. With the help of Lord Howard de Walden, Leslie Harrison, David Oldrey and Dana Brudenell-Bruce, he managed to gather the funds required to establish the National Horseracing Museum. As one of the “Kids in Museums Manifesto” signatories, the National Horseracing Museum is one of Britain’s institutions to encourage families and school groups to visit, especially since many of their exhibitions are particularly interesting and fun. A carefully-designed Junior Fun Tour as well as the museum’s dressing up activities make it the perfect destination. In 2015, the museum’s staff has prepared numerous family events, including Art Workshops overseen by expert equine artists, craft workshops, conservation workshops, open weekends and special Halloween events. The National Horseracing Museum is open Monday through Sunday from 10 AM to 5 PM. The first gallery of the museum is dedicated to British racing, royalty and classic racing horses, showcasing various trophies and noteworthy objects. Yet the crowning jewel of this gallery has to be the preserved head of the Royal Family’s best bred horse: Persimmon, who won the Gold Cup and the Eclipse Stakes. Another gallery showcases Thoroughbred horses and their owners, and curiously, all of these horses can trace their ancestry back to one of the following: the Gandolphin Arabian, Darley Arabian or Byerley Turk. Jockeys are also featured in one of the museum’s most prominent galleries, where attire, uniforms and pictures are to be found. Horse betting and its history are also included in a dedicated gallery, yet the Practical Gallery is one of the ones you must make sure to visit. A hands-on approach is encouraged as visitors can even stand in the shoes of award-winning jockeys and ride their horses. You’re free to tack-up model horses, understand the daily routine of a trainer and have oral sessions with the experienced staff. Much like the American Quarter Horse, the Tennessee walking horse is another outstanding breed known for its distinguishing features: its tall neck, calm disposition and straight head. As such, the Tennessee museum aims to represent this majestic horse’s cradle by ensuring to collect, preserve and allow public access to all its memorabilia, artifacts, documents, books and photographs. There are countless unique activities that the museum offers: from August’s Wartrace Horse Show to October’s Moonlight Trail Ride, or April’s Trainers Show, the museum will surely not disappoint its visitors. The collections are accessible to the public and showcase the international popularity of this exquisite breed. Established in 1975, the Appaloosa Museum is the home of countless valuable exhibits, objects and collections showcasing the beauty of the Appaloosa horse. Outdoor exhibits are held during the summer, where visitors may view the beautiful Appaloosa horses grazing while sitting in the shade of the trees or enjoying a meal on the quaint picnic tables. And although heavy horses no longer thunder by as they did not so long ago, there is one thing that even museums aren’t able to convey: how it felt like when horses roamed the streets and pulled our carriages, filled our barns and neighed with joy in almost every yard. But although it no longer takes center-stage, the horse remains a symbol of one of the catalysts that allowed mankind to thrive.